Welcome to the home page of the John H. Reagan Camp #2156. 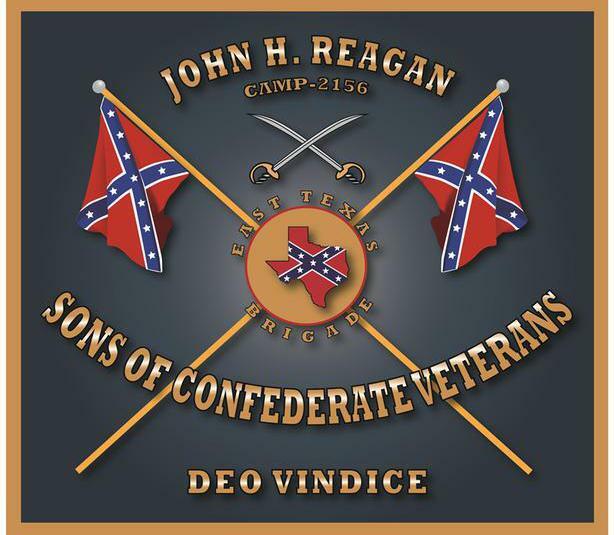 We are part of a great patriotic, historical, hereditary, and non-political organization called the Sons of Confederate Veterans. 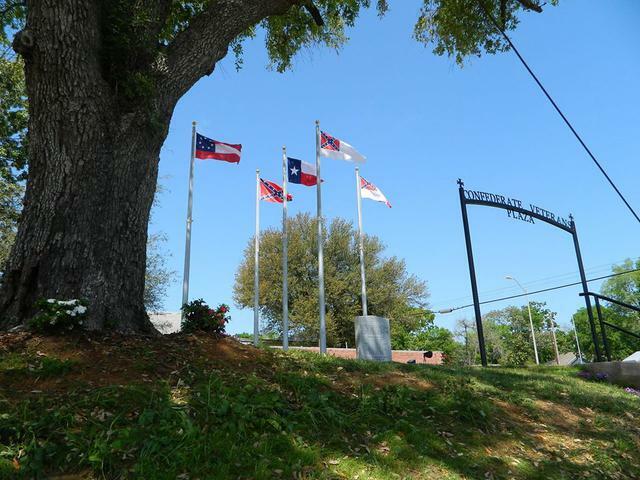 Our mission is to honor our Confederate ancestors and to preserve the true history of the South and the Cause for which our ancestors fought during the War Between the States. Camp meetings are on the third Tuesday of each month at 06:30 PM. We meet in the Community Room at 412 East Lacy Street in Palestine,Texas. Please contact the Camp Commander (Contact page) prior to attending to verify the meeting location has not changed for that month (normally does not change). You can also download the current newsletter from the NEWS page to verify the meeting location. We enjoy a covered dish meal at each meeting. Guests/visitors are welcome. In addition to fellowship and camp business, our meetings also include an interesting historical program presented by various speakers. These programs relate to the 1861-1865 period. If you would like to visit our facebook page, click here. If you don't have Adobe Reader to view the downloadable files, click here for free download. 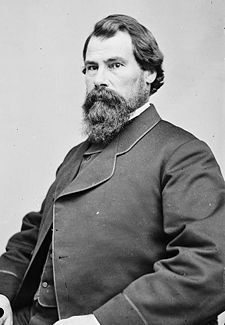 John Reagan was born in Sevierville (present day Gatlinburg), Sevier County Tennessee, the oldest son of Timothy and Elizabeth Reagan, a farming family. His early education was minimal at best, primarily because of his rural environment. Records indicated, at times, he briefly attended Nancy Academy, Boyd’s Creek Academy and Southwestern Seminary in Maryland. 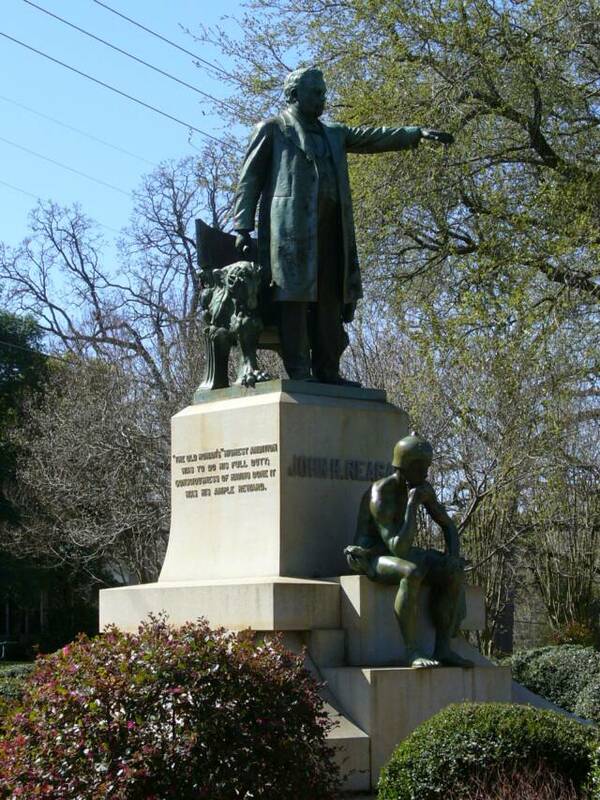 In 1838, he settled at Nacogdoches in the Republic of Texas. Shortly after arrival, he joined the local militia during the Cherokee War and participated in the battle on July 15, 1839 where the Indian leader Chief Bowl was killed. Following this he was a frontier scout, surveyor until elected as justice of the peace and captain of a militia company in Nacogdoches. Studying the law, in 1846 he received his temporary law license and opened an office in Buffalo near the Trinity River. Reagan’s political career began in earnest after Texas joined the union in 1846. 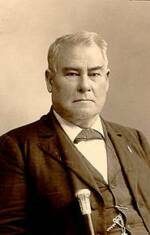 He was elected the first county judge of Henderson County, then a member of the 2nd Texas Legislature. Losing reelection, he moved to Palestine, Anderson County, Texas and bought a farm on land west of town which had originally been the site of Fort Houston, a post for the Republic of Texas. He named his home, appropriately, Fort Houston. A democrat, in 1852 he ran and won a vacant judge position in the 9th Judicial District and reelected in 1856. 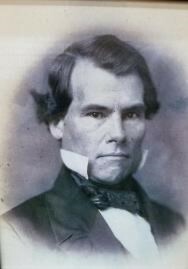 In 1857 he was elected to the US Congress, serving until Texas withdrew from the union in 1861. He was a member of the Texas Secession Convention of 1861. During the convention he was included in a committee to approach Governor Sam Houston, an anti-secessionist, to support Texas and the Resolution of Secession. The governor would not change his position. Reagan was appointed a delegate to the Convention of Southern States in Montgomery Alabama. Here, he accepted appointment as Postmaster General of the Confederate States of America by Jefferson Davis, the Confederate President. He became a trusted friend and confidant of President Davis and remained in this position throughout the war. It has been noted the Confederate Postal Service has been the only national postal service to have actually made a profit. As Postmaster General, Reagan was also responsible for the southern telegraph system. Trying to maintain postal services and telegraph service throughout the war was most assuredly an almost impossible task. The movement of armies with their fluid successes or failures, territory and towns changing hands multiple times in some cases, and the enormous task in obtaining supplies and equipment necessary to provide for any reasonable attempts to establish, expand or the reasonable maintenance of telegraph and postal services and facilities cannot be overemphasized. As the war progressed and the successes of the Union forces became ever increasing and the Confederate forces and territories shrunk and became separated or isolated, the problems were magnified beyond imagination. Returning to his home at Fort Houston, Reagan began rebuilding his farm and his life. In 1872 he was elected to the State Constitutional Convention. In 1874, 1876, 1878 and 1880, he was elected to Congress for the 1st District and US Senator in 1887. In 1891, the Governor appointed him head of the Texas Railroad Commission, a position he held until he retired in 1903. He completed his “MEMOIRS” which was printed in 1906. He died at Fort Houston on March 6, 1905. The Texas Legislature turned out in a body to remember the Old Roman and attend his funeral. Click here to read another excellent short biography of John H. Reagan from the Texas State Historical Association's Texas Handbook Online, written by renowned Texas historian, Ben H. Proctor. Photo used to create header, by Keith Snyder. Taken during a reenactment at Sharpsburg, Maryland where Confederate troops fought bravely during that battle, including many from Texas. 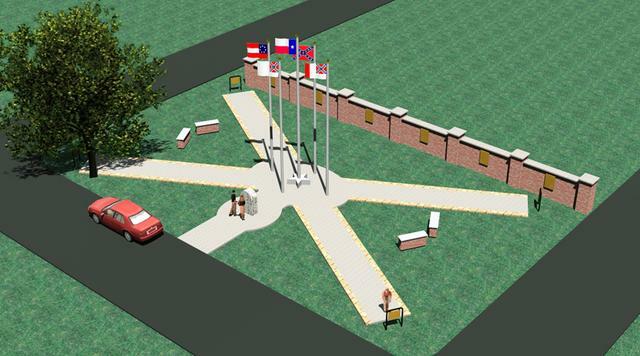 Donate to place a Memorial Brick Paver in the Confederate Veterans Memorial Plaza in honor of your Confederate ancestor, SCV camp, UDC or OCR chapter! If you have downloaded this form before, and cannot access it now, please refresh your browser since the form has been updated. 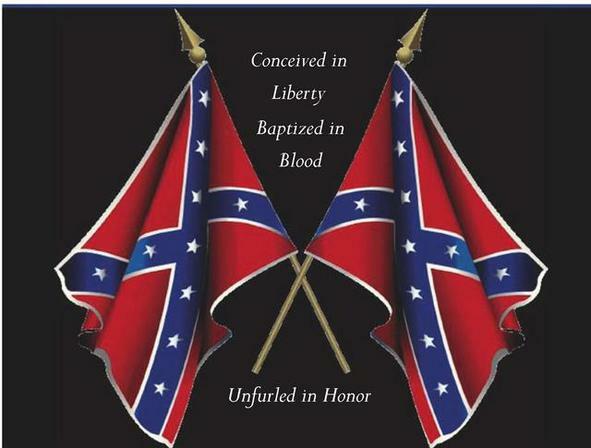 The Confederate Battleflag was the soldiers flag. It was not the flag of the government, but was the flag that many a Confederate soldier looked to in forming their battle lines and to rally behind in the storm of conflict where they bled, lost arms and legs, and close to 300,000 lost their lives. Years after the War Between the States, when the United Confederate Veterans formed their organization (very similar to modern veterans organizations like the VFW or the VVA), these United Confederate Veterans chose the Confederate Battle flag above to represent them as it was the most commonly used battleflag during the War and had a very sentimental meaning to them. It was chosen to represent them at all functions where the UCV's met together for business, parades, etc.. This battle flag (there were many others, but not as popular and widely used) best represents the Confederate soldiers during their War for Southern Independence of 1861-1865. Even today this battle flag continues to represent their honorable names as they endured many hardships and sacrifices fighting in defense of their families, homes, and for the principles of the Constitution established by the founders.